Goodyear Tyres is proud to announce that it has been appointed by Warburtons, the largest bakery brand in the UK, to supply premium tyres for its UK fleet of 906 tractor units, trailers, rigid trucks and vans. Making 18,500 deliveries per week and with 14 bakeries and 13 depots throughout the UK, Goodyear will help to boost the efficiency and safety of Warburtons’ fleet. As part of a three-year agreement, Warburtons will equip its fleet with tyres from Goodyear’s KMAX range. Designed to provide extensive mileage, the KMAX tyres aim to help reduce downtime and the cost of maintaining Warburtons’ fleet. The KMAX D product also meets the requirements of the M+S (Mud and Snow) and 3PMS (3 Peak Mountain Snowflake) symbols, meaning that they will provide superior performance in adverse winter weather. Warburtons will also trial Goodyear’s Proactive Solutions Tyre Pressure Monitoring System (TPMS). The system collects data on a tyre’s pressure and temperature in real time, allowing underinflated tyres, punctures and mechanical issues to be identified and resolved quickly. Vehicles using Goodyear’s Proactive TPMS have been found to benefit from up to 15% more working hours before requiring new tyres to be fitted, as a result of having the right pressure at all times and an 85% reduction in tyre related breakdowns. Goodyear’s dedicated support network, TruckForce, will be on hand to provide Warburtons with tyre service and breakdown assistance throughout the UK. 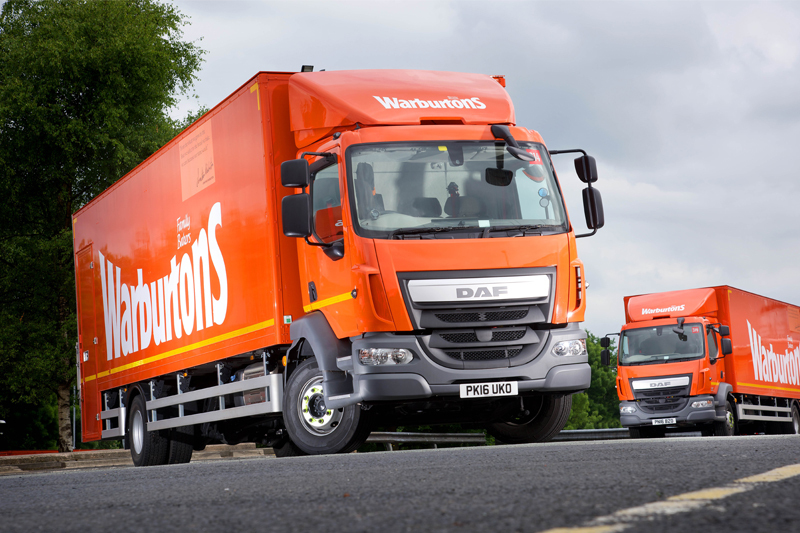 Drivers will have access to rapid 24/7 roadside support from TruckForce in the event of a breakdown, minimising the impact of any unexpected downtime and keeping Warburtons’ vehicles on the road.